Here at Santry Motor Sales we specialise in providing the most comprehensive, detailed and reliable pre-nct check in the Dublin area. We will inspect your vehicle with no stone left unturned and provide you with a point by point report that is easy to understand and will allow you to prepare for your upcoming test in the most effecient and cost affective manner. In 2000 the Irish government introduced the National Car Test (NCT) to measure the road worthiness of vehicles on our roads. The NCT checks exhaust systems in two ways. Firstly they check for a leak in the exhaust system, secondly they measure the levels of Carbon Monoxide and Hydrocarbons present in the gas emissions. If your car’s exhaust gas contains levels of these toxic gases above what the NCT deem acceptable or if a leak is found in the exhaust system your car will be given a fail on the test. 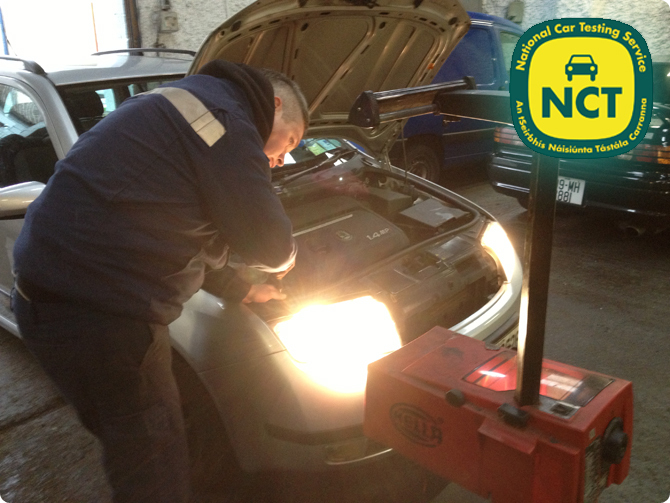 At Santry Motor Sales we offer a pre-NCT emissions test for your car. Using a gas analyser we run the same test that will be run by the NCT, measuring your car’s emissions at both high and low engine idle. From the readings given by the gas analyser we can then tell you whether or not your car will make it through the NCT test and if not what can be done to remedy the situation. There are many different issues that can cause a car to fail an emissions test. A high hydrocarbons reading can indicate problems with the engine management system. A high lamda reading can indicate a leak in the exhaust system and a high carbon monoxide reading can indicate a faulty catalytic converter or lamda sensor.